Q. Is there any reason that I would be better off paying all my taxes in France? A. If you are resident in France then you must pay your taxes in France except for income received from certain government employment or government service pensions. Q. Do I have to tell the French about my investments if all of them are in Britain? A. Yes, if French tax resident. Investment income is taxable in France if you are resident in France, regardless of where the income arises. If tax has been deducted at source, then you will be able to claim a tax credit against your tax bill in France. Q. Most of my British investments are tax free, but do I now have to pay taxes on some of them? A. British tax-free investments will not be tax-free in France. Each investment needs to be assessed separately as the answer will vary depending on the type of investment and how income or capital is distributed. Q. I’ve heard that a “tax wrapper” offers expatriates a legitimate method of tax avoidance. What exactly is it? A. The term “tax wrapper” refers to a specialised form of life assurance arrangement, a structure which benefits from advantageous tax treatment. It is specifically designed to enable individuals to hold their own choice of assets within it, hence the “wrapper” concept. This type of investment has various names, including Insurance Bond; Offshore Bond, Private Client Portfolio and Personal Portfolio Bond. In France it’s called Assurance Vie. The tax treatment in France it is very favourable. Q. My wife and I are considering retiring to France. I would like to know where I will stand with regards UK tax once I move to France, especially UK inheritance tax? A.Once you are a permanent tax resident in France, you will basically no longer be liable for income and capital gains taxes in the UK, unless in some cases the income arises in the UK, or in the case of capital gains you permanently return within 5 tax years. Q. What are the succession implications of adopting a French Domicile? A. If you are permanently resident in France, you will become domiciled under French law. On the death of one of you, then French succession law applies to your worldwide assets (except for immoveable property outside of France). This means that the children and the parents of the deceased (including children from earlier relationships) have prior rights to assets over and above the surviving spouse. These rights are not only against assets in the deceased’s sole name, but also against the deceased’s share of jointly owned assets. From August 2015 the application of the EU rules regarding inheritance allows for testators to choose the law to be applied to their estate, making it possible to opt out of forced inheritance French rules. Q. 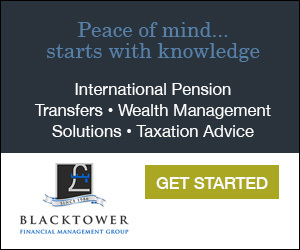 How will my pension and AVCs be taxed? A. As a tax resident of France your pension will be liable to tax in France unless it is a government service pension. If you receive your pension net of UK tax you need to reclaim the tax deducted and apply to the Inland Revenue to have no tax deducted at source by the payer. There is no choice to be made here as all French tax residents must declare and pay French tax on all worldwide income. Q. I have heard that I will have to pay “wealth tax” in France, but am unsure which assets are covered by this tax. Can you give me some indication of what I will have to pay? A. Wealth tax in France is known as ISF (Impôt de Solidarité sur la Fortune). If you become resident in France you will be taxed on your worldwide assets (including properties) based on your household wealth as at 1 January every year. Taxable assets include property, vehicles, debts owed to you, furniture (except antiques), jewellery, shares, bonds, redemption value of any life insurance, horses etc. If you are not resident in France, you will only be taxed on your French assets, excluding portfolio investments and cash. There are a number of tax planning methods designed to reduce wealth tax and you should contact us for advice in the complex area of tax planning. Q. I bought a house in France a couple of years ago and plan to spend more and more time there. I am aware of the residency rules, but I wonder how each country’s tax authorities will know where I am resident? A. There are many points to be aware of. For a start, in most countries, including France, it is your responsibility to make yourself known to the tax authorities if you are tax-resident. If you are caught not declaring your tax residence you can be fined or even jailed. A lot of information can be automatically passed to the French tax authority, including yacht registration, becoming a company director, buying property, receiving bank interest etc. Although passports are no longer stamped, there’s a trail of paperwork left behind: telephone bills, electricity bills, bank statements, credit cards, parking fines, correspondence with professional advisers, medical files etc. All stand by to give evidence of your whereabouts on a daily basis. Whether you are resident in France or the UK there are ways to legally mitigate your tax bill. Q. I am just about to move to France permanently. My local financial adviser assures me he can continue to look after my affairs after I move, but I wonder whether this is a wise thing to do? A. France is a completely different ball game so unless he is fully conversant with French tax and investment planning and can maintain current awareness of any changes that take place over the coming years you may be at risk of paying excessive tax and inappropriate investment arrangements.